Gorgeous blue stone earrings for brides are made of sapphire blue cubic zirconia drops. These blue CZ crystal earrings are in the classic teardrop style with halo set round ear posts. 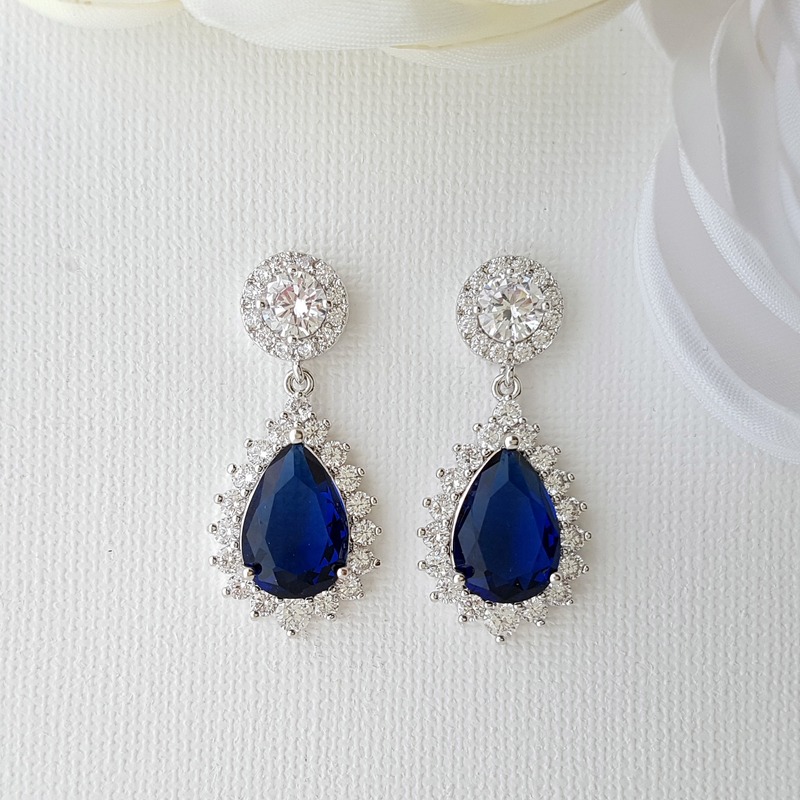 These earrings are a great addition to brides jewelry ensemble as something blue for the wedding. Earrings have a perfect length and size, which are lightweight and comfortable on the ears. The material used is rhodium plated brass and the ear posts are hypoallergenic titanium pins. These blue earrings are available in silver, rose gold and 14k gold finish also to suit your style. length of Earring from top of Ear post is approx 1 2/8 inches or 3.2 cms and 1.5 cms wide.